The following report and recommendation relate to Emenike & Emenike Electronics. The planned project is to be fully implemented with an investment of N20,490,000 with a fixed capital of N11,490,000 and a working capital of N9,000,000. The proposed project is to be located in Eleme, Rivers State Because of good available market, access road and proximity to Port Harcourt. There is a ready market for the planned project. The level of demand for the product is quite high by virtue of the fact that Eleme is a semi-dense town with high concentration of oil workers and subsidiaries and also close to Port Harcourt. The financial position reveals a good liquidity and stability. The project turnover for 2015, 2016 and 2017 respectively is N33, 360,000; N38, 364,000; and N44, 118,600. Net profit for 2015 is N5,660,000 increasing to N6,656,000 in 2016 and N7,810,100 in 2017. 1.7 The funding requirement is N20,490,000 which is expected to come from the Federal Government as grant for the Amnesty re-integration programme. Our Electronics business will focus on the sales of high quality and varied electronic items from Asia, Europe and America for domestic and industrial uses. To be a major dealer and a household name in the sale of high quality electronic products to our esteemed customers. To provide quality electronic products that will meet the taste of different consumer groups at competitive prices. The promoter wishes to locate the business in Eleme area of Rivers State because of existence of ready market, access road and proximity to Port Harcourt. Our range of products will include TV sets, DVDs, Radios, Refrigerators, Generators, Stabilizers, Fans, Irons Computers, Cameras, Household Equipment, Cables & Accessories, etc. The planned business plans to include electrical services as the business in future. Our target customers will include individuals, household consumers, builders, companies/corporate bodies. Electronics marketing is a highly competitive one. Moreover, it is largely affected by change in technology. However, the promoter plans to keep abreast with changing technology and consumer taste. The business will be located in a strategic place to be able to achieve sales volume that will enable the business compete favourably. Electronics are essentially household items. With the revolution in technology, consumers want to keep up with the trends. To ensure that our customers get what they want, we will stock our shop with a variety of offers. We intend to also keep pace with the changes in technology with our offers. Therefore, there are large and ready markets for electronics products which are basic requirement of every home and office. After sale services, home delivery service and offer of one year warranty will be our core marketing strategies. 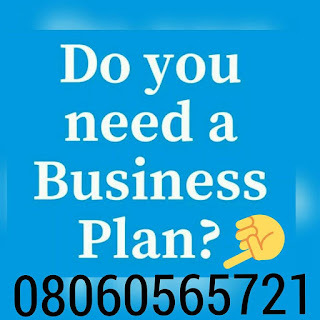 After payment text your names, your e-mail address and what you paid for to 08060565721 and you’ll receive your ELECTRONICS SHOP BUSINESS PLAN IN NIGERIA PROPOSAL.